LexisNexis UK, a leading provider of content and technology solutions, today announced the expansion of their strategic relationship with Exari. Already using Exari technology to power Lexis Smart (online automated software) products, LexisNexis UK will now offer Exari’s innovative DocGen™ document generation solution to its customers. LexisNexis will be the exclusive distributor of Exari’s document generation technology to UK law firms. The traditional contract drafting process is time consuming, error prone and lacks an efficient automated process. Content analytics and legal automation are on the rise, and innovations through technology in the legal field are already improving internal efficiency by producing more accurate contracts and reducing turnaround times. The expansion of the partnership means that LexisNexis customers now have a solution that increases drafting efficiency by up to 80% while empowering junior lawyers to produce high quality documents and contracts. Utilizing Exari’s DocGen™ technology to power the automation of precedents available to clients increases productivity, accuracy and profitability. 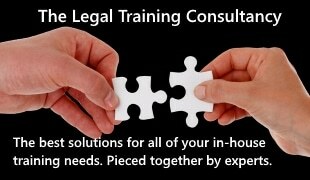 These solutions free up lawyers to spend more time doing what they are best at – practicing law in a specialist, human and accessible way.